Fiddle-Dee-Dee Designs: Yeah, So This Happened. In the midst of our daily lives, sometimes the extraordinary, crazy or hilarious occurs and yeah, all that comes out is, "so this happened." 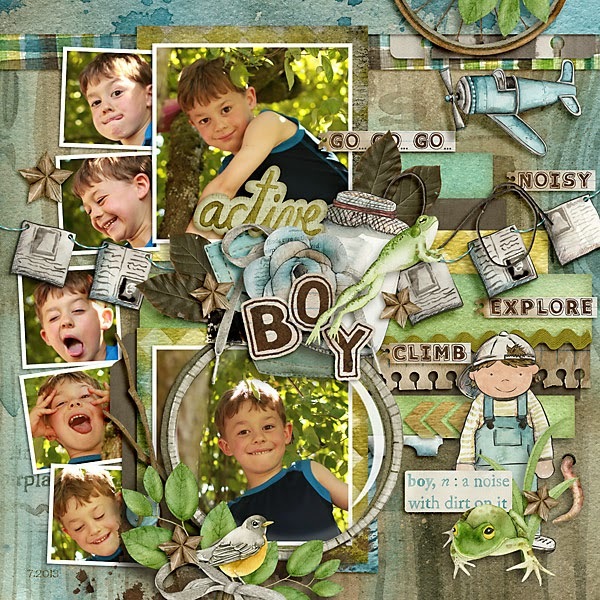 Whether you are documenting a milestone you've been waiting on or a complete surprise, Fuss Free: So This Happened and Fuss Free: So This Happened 2 have room for multiple photos and journaling to help you document your story! 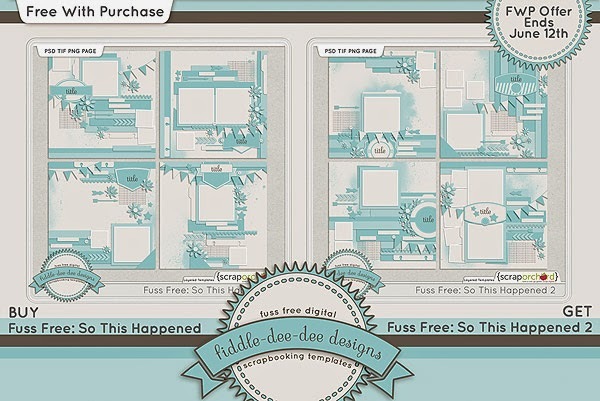 Purchase Fuss Free: So This Happened and receive Fuss Free: So This Happened 2 FREE! Offer valid through June 12, 2014. 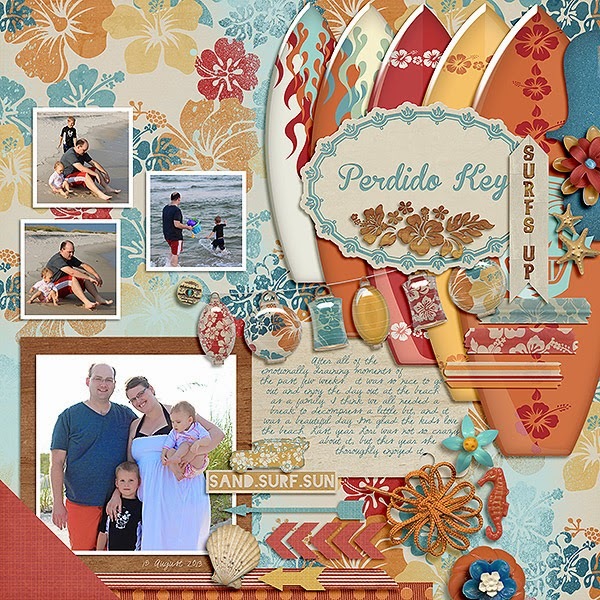 The June Exclusive Template for my Facebook Fans is available on my Facebook Fan Page. Once you get to my Fan Page, make sure you have "liked" the page and then click on the EXCLUSIVE GIFT under the cover image or click on the EXCLUSIVE GIFT FOR FANS thumbnail in the left sidebar. You will be able to download the June template from there. 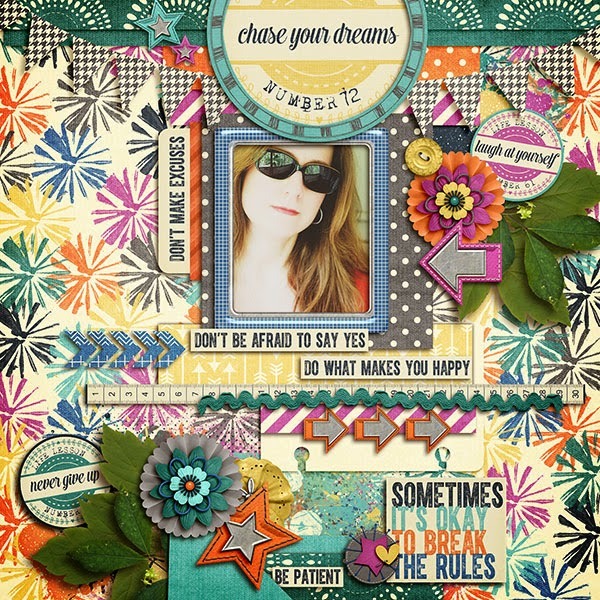 The June Template Challenge has been posted at My Scrapbook Art and you can download this free template for your stash. 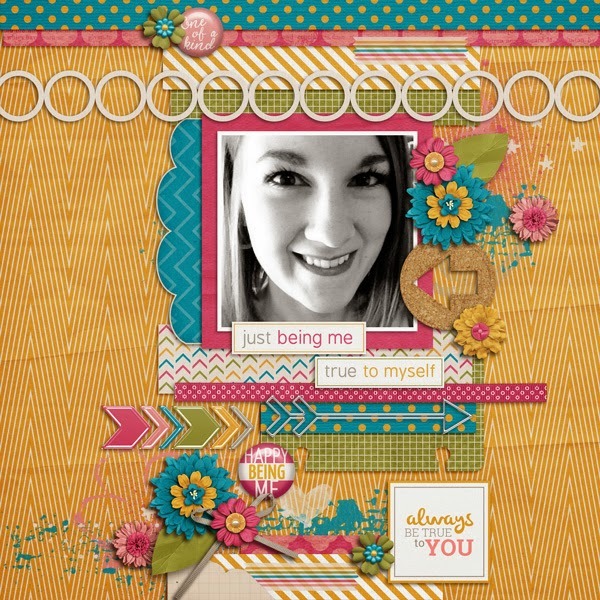 A new template from me for June's Template Tuesday is will available NEXT WEEK (June 10th) on the Scrap Orchard Blog! Here's a peek at it! Life always throws us curve balls, but we memory keepers are adept at holding cameras and a laptop while we catch them! Here's to capturing memories on the go! Have a great week! Play it again and again and again! A little bit shabby, a little bit bohemian . . .